Three local theatre companies, Off the Wall Theatre, Milwaukee Entertainment Group and All in Productions, are committed to bringing an intimate performance experience to Milwaukee. Dale Gutzman, owner of Off the Wall Theatre, said that those in Milwaukee's theatre industry are dedicated to their art, not the money. Dale Gutzman’s theatre career has taken him all around the world, and ultimately back to his roots in Milwaukee. 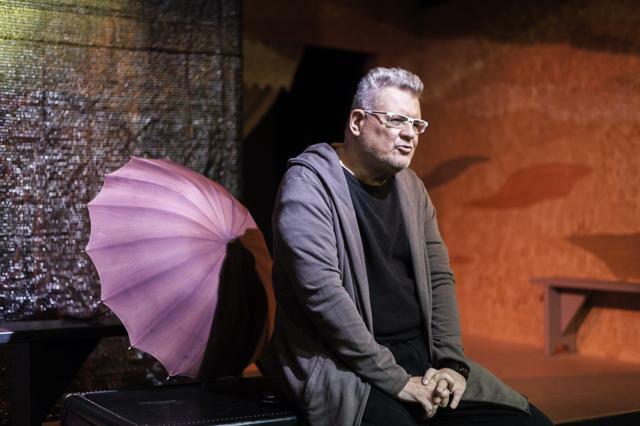 He served as resident playwright and associate director of the Russian Drama Theatre in the Ukraine. Later, he was the resident playwright at the Performing Arts Center of Bangkok, Thailand, where he helped stage a televised special of “Joseph and the Amazing Technicolor Dreamcoat” for the king of Thailand’s birthday. After this, Gutzman planned on retiring from the industry. But his retirement took a turn after visiting the tiny 40-seat theater on 127 E. Wells St. with Don Hoffman, who opened and designed the space. Gutzman initially resisted getting involved, saying he didn’t have the money to run the company. Hoffman said he would cover the expenses, but needed Gutzman to take over the production side of the theater. Gutzman agreed and Off The Wall formed in 2000. However, Hoffman left Milwaukee a year and a half later, giving Gutzman entire control of the theater. Off The Wall struggled initially because it did not get any press reviews during its first three years. Gutzman said this changed after people saw the quality of the shows. Local actors from the Skylight Music Theatre, Milwaukee Repertory Theater and Milwaukee Chamber Theatre became interested in Gutzman’s shows. He said Off The Wall began to build a reputation as a place where actors could participate in unusual and adventurous projects. Once a year Off The Wall produces a show written by Gutzman, either as an adaption or entirely original piece. He said if he could do it all over he would be a playwright. Gutzman said he takes pride in the fact that multiple actors have gone on to make names for themselves after Off The Wall, including Mark Rylance, who ran the Globe Theatre in London for 11 years and recently won the Oscar for Best Supporting Actor for the Cold War thriller “Bridge of Spies.” Eric Szmanda from “CSI: Crime Scene Investigation” also started out at Off The Wall. A.J. Magoon, a junior in the College of Communication, starred in Off The Wall’s production of “Joseph and the Amazing Technicolor Dreamcoat” in 2013. He said he enjoyed the closeness he felt with his fellow actors and audience due to the intimate space. As soon as guests enter the historic Brumder Mansion on 3046 W. Wisconsin Ave. for a Milwaukee Entertainment Group (MEG) production, they are greeted by artistic director Tom Marks in full character. The Brumder Mansion did not start out this way. In 1910, George Brumder Sr. built the mansion for his son George Jr.. The family eventually sold the home to brothers Sam and Ed Pick in the 1920s, who turned the space into a speakeasy while working for Al Capone. The mansion underwent more changes over the years, from becoming rentable rooms for Marquette students to a Christian coffee house. Finally, Carol and Bob Hirschi bought and rescued the mansion in 1996 and transformed it into a bed and breakfast with a theater in the basement. Hull got involved with the company after stumbling across a post on Craigslist. She auditioned for the company’s first show in 2011, “Speak Easy of Murder,” a murder mystery produced in the space several times over the next few years. A year later, Hull’s friend Elizabeth Shipe asked the current owners Tom and Julie Carr if she could write a Sherlock Holmes play to be performed in the space. “That was the start of doing more legitimate plays written by local artists,” Hull said. Shipe, Hull and Marks became the production team for the company and named it Milwaukee Entertainment Group. The process to produce an original work starts with local writers contacting MEG to set up a table read, where a group of actors read the script out loud. After getting feedback, the writers revise the script to make adjustments. Hull said most of the scripts brought in get produced. “It’s a longer process, but we love working with people and promoting new works of theater in this community,” Hull said. When community theater actors Robby McGhee and Alex Scheurell lived together on Brady Street, they often talked about shows they would love to do together, but didn’t have the money to start their own company. Everything changed on Brewers’ opening day in 2011, McGhee woke up at 4 a.m. to go tailgating. Since the government shut down online poker shortly after, it took Scheurell some time to get his money. The two were able to get their company up and running last year and they appropriately named themselves All In Productions. The company became a nonprofit in July and performed its first production of the second season, “The Wild Party,” in September. McGhee said they select their shows by popular demand. All In Productions is a traveling company and has performed at Villa Terrace Decorative Arts Museum, In Tandem Theatre and Next Act Theatre. McGhee said they are 100 percent committed to casting Milwaukee talent and designers.